Speaking in parliament on Tuesday, Akel MP Costas Costa reiterated concerns that enforcing strict licensing criteria might disqualify many who now rent their properties on a short-term basis. 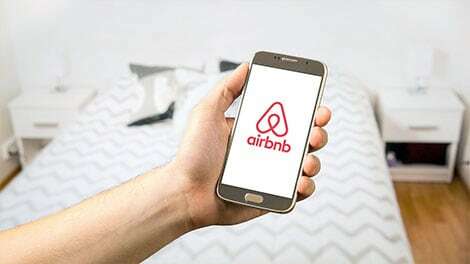 If you rent out your property to holiday renters from Airbnb or other sites, you change a home into a tourist accommodation, which is business! The Cyprus Property Law is very clear, it is not allowed to change a home into business or a business unit into a home. Why is the Government not protecting Residents on Complexes? Tourist accommodation belongs to Hotels, Holiday Resorts or Apartment buildings meant for tourist rental business. When I first read this I had to check the date today no it’s not the 1st April. “acquire a VAT number and comply with safety and health regulations” Take a long look at building works around this island and see where H&S is being fully employed. As for the VAT how many times have you not been given a receipt for works, services or purchases. Many Holiday home owners that offer short term rentals when they are not using the property themselves, do not earn enough to have to register for VAT. They do not actually make any significant profit either and this results in the VAT on costs being higher than the VAT on income. So in these cases I do not see the state receiving any extra cash. First school of thought…..and what happens when reported to junior ministry of tourism? The second thought is going to be a nightmare to uphold. There are so many holes in that thought.